CicLAvia will return to the “Heart of L.A.” on Sunday, Oct. 5, from 9 a.m. to 4 p.m. with an almost entirely new route. CicLAvia is a free event. No registration is required and there is no starting or ending point. All you need to do is show up somewhere along the route, travel any direction you like by foot, bike, board or other non-motorized transportation, and then have fun. “Heart of L.A.” will cross through downtown along parts of the first CicLAvia route, but will extend into new areas like Echo Park, the Historic Broadway Theater District, and through Boyle Heights all the way into the County of Los Angeles and into East Los Angeles. In Little Tokyo, the route will go from East Second Street to Central Avenue; Central to West Third Street; and Third Street to East Fourth Street, with a crossing point for cars at Alameda. The route will feature a pedestrian zone in the Broadway Theater District and a kids’ zone at the East L.A. Civic Center, and will cross paths with the Festival of Philippine Arts & Culture, which is being held in Grand Park. 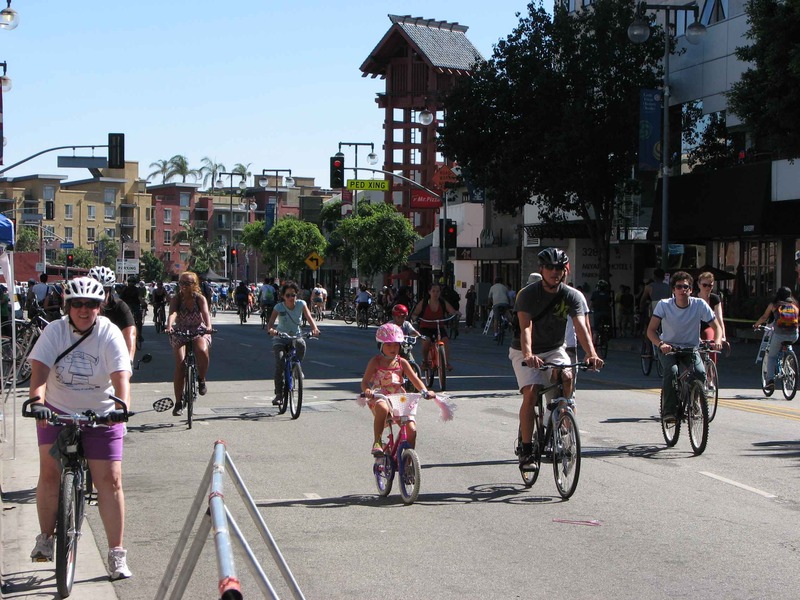 If you live or work along the route, you will need to park your car elsewhere before CicLAvia. All driveways on the route will be blocked. Cars parked on the route on the day of the event will be towed, and no cars will be allowed to enter or exit the route. Check for posted parking restrictions on your street. For more information, call (213) 355-8500, email [email protected] or visit www.ciclavia.org.